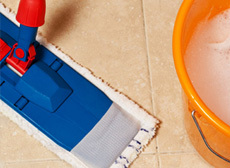 Nadia’s House Cleaning of Boston, Massachusetts is a full service cleaning company, supplying a multitude of cleaning services to commercial businesses and residential homes locally and in surrounding areas. We are fully licensed and insured to provide our professional expertise and services to the community at rates you can afford. Nadia’s House Cleaning technicians are more than qualified to perform the tasks associated with our services by having advanced and ongoing training, experience in the industry, and remarkable skills. Exclusively utilizing premium quality equipment and products, Nadia’s House Cleaning can ensure that our valued customers receive nothing less than the ultimate level of clean. Nadia’s House Cleaning is more than just a phenomenal cleaning crew; we prioritize our customers by incorporating friendly customer services, high moral standards, and exceptional work ethics on consistent bases. Nadia’s House Cleaning includes hoard cleanup services to residential homeowners in the Greater Boston, Massachusetts area. 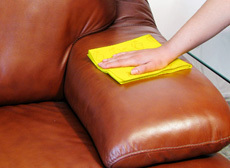 Being specially trained to perform hoard cleanup services, we can get the home cleaned up safely and efficiently. Hoarding is a compulsion and cleaning up the hoard is a step in rehabilitation. 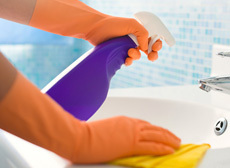 Nadia’s House Cleaning specialists understand the sensitivity involved. Our experts are trained to clean up and properly dispose of the hoard, and do so with empathy and care to the situation. Cleaning up a hoard can have many dangers involved in the process; there are many contributing factors found within a hoard that can be harmful to your health. It is highly recommended for your safety that you allow a professionally trained crew to perform a hoard cleanup. Nadia’s House Cleaning professionals always practice safety first when cleaning a hoard. Our technicians wear protective clothing, gloves, and respiratory protection, which is essential during hoard cleanups, the use of safety gear helps those performing the cleanup to avoid exposure to harmful contaminates. Coming into contact with bacteria and toxins can be harmful to your health. Nadia’s House Cleaning is well informed and trained in this arena. In a hoard cleanup, common concerns that are involved include bacteria, hanta virus, histoplasmosis, staph viruses including MRSA, E. Coli among others. 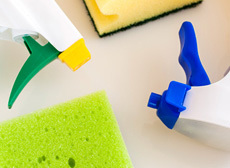 Including in a hoard cleanup process is the sanitizing, sterilizing, and deodorizing of all surfaces; any items or structural materials that are deemed unsalvageable are properly disposed of. Nadia’s House Cleaning of Boston, Massachusetts divides the hoard into three basic categories: exceptionally damaged and contaminated contents in need of proper disposal, donated or sold items and possessions that are to be kept. A guideline we use when considering the items to be kept is the anything that “if it has not been used for more than 12 months, you don’t need it” rule. These objects are sorted to be donated, recycled, or disposed of accordingly. Nadia’s House Cleaning is trained and experienced to perform hoard cleanups for residential homes in the Greater Boston, Massachusetts area, if you or a loved one is in need of our services, contact us today and let our professionals do the rest.